With an emphasis on Oakland’s youth, Oakland Parks, Recreation & Youth Development and its partners will provide best in class, relevant and equitable programs and services, while meeting the specific needs of people and communities both at the neighborhood level and regionally throughout the City of Oakland. We achieve this mission through intentional engagement and by removing the barriers that prohibit equitable opportunities for all. 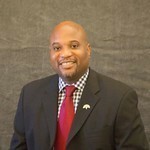 J. Nicholas Williams serves as the Director for the Department of Parks, Recreation, & Youth Development. Prior, Mr. Williams was the Assistant Superintendent of Recreation at Minneapolis Parks and Recreation. He also managed park and recreation operations in the City of Atlanta for over five years.